Cruise Addicts their is a big new ship coming to the big easy. The Carnival Triumph will be replacing the Carnival Elation on its four- and five-day short cruise program from New Orleans. The much larger Carnival Triumph will increase capacity by 34 percent when she replaces Carnival Elation next spring. In turn, Carnival Elation will reposition to Jacksonville, Fla., for year-round four- and five-day cruises and Carnival Fascination will shift to San Juan for year-round seven-day Caribbean cruises beginning in spring 2016, providing consumers with fresh and exciting new choices in these markets. As previously announced, Carnival Liberty will replace Carnival Triumph on the line’s year-round four- and five- day cruise program from Galveston next spring. “Repositioning these ships to New Orleans, Jacksonville and San Juan provides our guests and valued travel agent partners with fresh and exciting new ‘Fun Ship’ choices in three important and highly attractive cruise markets,” said Christine Duffy, Carnival’s president. Carnival Triumph will shift from Galveston to New Orleans to launch year-round four- and five-day cruises to Mexico beginning April 4, 2016. On this route, four-day “long weekend” cruises depart Thursdays and call at Cozumel while five-day cruises depart Mondays and Saturdays and visit Cozumel and Progreso. During these fun and affordable getaways, consumers can relax on world-class beaches, enjoy a variety of dining, shopping and cultural opportunities and visit centuries-old Mayan ruins including Chichen Itza, one of the New Seven Wonders of the World. Carnival Triumph will also offer a special three-day cruise round-trip from New Orleans April 8-11, 2016. 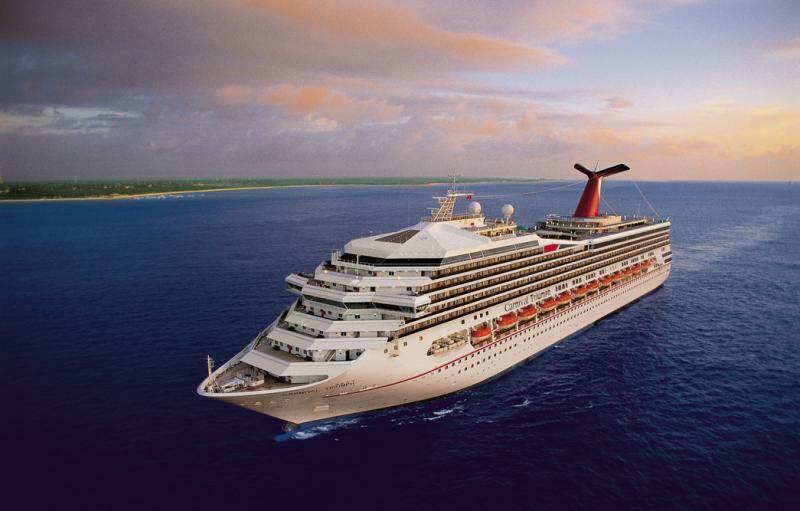 Carnival Triumph will join Carnival Dream which operates year-round seven-day cruises from New Orleans. Together these two ships are expected to carry 450,000 guests annually from New Orleans – the most of any cruise operator. Carnival is the only cruise line to operate two year-round ships from New Orleans and offers the widest variety of cruise durations and itinerary choices from the Big Easy. Carnival Triumph has undergone an extensive dry dock that added a number of Fun Ship 2.0 innovations, including Guy’s Burger Joint, developed in tandem with Food Network star Guy Fieri, poolside watering holes BlueIguana Tequila Bar and RedFrog Rum Bar, the BlueIguana Cantina Mexican eatery, cocktail pharmacy-themed Alchemy Bar, and Cherry On Top, a “candy and more” store. Carnival Triumph also features more than 500 staterooms and suites with private balconies that are not generally available on other short cruises and are highly coveted by Carnival guests. 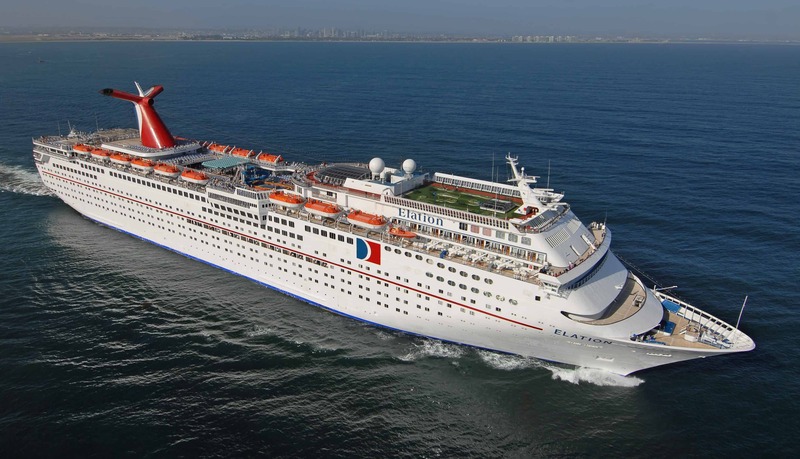 Carnival Elation will shift from New Orleans to Jacksonville to operate year-round four- and five-day cruises from Jaxport beginning April 23, 2016, providing a newer ship on this highly attractive cruise program. Carnival Elation will assume Carnival Fascination’s four- and five-day schedule from Jacksonville and continue cruising’s only year-round program from that port. Four-day cruises depart Thursdays and visit Freeport and Nassau and five-day voyages depart Mondays and Thursdays and visit the private Bahamian island of Half Moon Cay and Nassau. In turn, Carnival Fascination will reposition to San Juan to operate year-round seven-day southern Caribbean cruises beginning April 24, 2016. These week-long adventures feature five breathtaking Caribbean islands: St. Thomas, Barbados, St. Lucia, St. Kitts and St. Maarten. In addition to some of the world’s best beaches, these tropical seaside destinations are known for their exceptional snorkeling, scuba diving and water sports. In anticipation of its new homeport, Carnival Elation will offer two exciting longer length cruises visiting some of the Caribbean’s most stunning ports of call. An 11-day cruise will depart New Orleans April 2 and arrive in San Juan April 13, 2016, with port calls at Aruba, Curacao, Grenada, Barbados, Antigua, and St. Thomas, while a 10-day cruise will sail from San Juan to Jacksonville April 13-23, 2016, featuring Barbados, Grenada, Tobago, St. Lucia, St. Kitts and St. Thomas. Carnival Fascination will also offer a special six-day cruise departing Jacksonville April 18 and arriving in San Juan April 24, 2016. Featured ports on this one-time voyage will include St. Thomas, St. Kitts and St. Maarten. All of these cruises have been specially designed to offer our guests who have previously sailed with Carnival from New Orleans or Jacksonville, with new itineraries that visit more exotic ports of call. The unique appeal of these voyages should provide first-time cruisers with even more incentive to experience a Carnival cruise vacation. The 10- and 11-day cruises also offer our valued travel agent partners with the ability to earn higher commissions due to the longer cruise duration. Reservations are currently being accepted for all of these cruise programs. For additional information and reservations contact any travel agent, call 1-800-CARNIVAL or visit carnival.com.